Why Did My Blood Sugar Go High? You are here: Home / Editorial / Why Did My Blood Sugar Go High? I understand doing everything right and see seeing that high number on the meter. I get the feeling of failure that overcomes you when you read that number. I get the frustration in not understanding what you did wrong. I get blaming yourself for what happened. I do, I get all of those, because I once did the exact same thing, over and over in this relentless cycle of disappointment, despair, frustration, failure, you name it. What I’ve come to learn in the 6+ years we’ve been in this fight is that you are not to blame. No matter what you do, you will still encounter a high number from time to time. In fact, there may be days where you can’t seem to get away from the highs. But it’s important to remember it’s not your fault! It happens! One thing that must be learned when dealing with D is that you shouldn’t sweat the high’s. They happen, they will always happen no matter how tight your control is. Highs happen for so many reasons, and instead of getting frustrated over them, and feeling like a complete failure, take them as a learning opportunity instead. Open your eyes to what you did, mark it down, take notes, learn. There is still so much to be learned about this disease and how it works, that we will never have one “expert” that knows it all. Take notes on what you ate, how much insulin you had, if you were active, if you were stressed, how you felt. It all affects the numbers. Check our article on keeping a diabetes logbook. While the doctors say take this much for this, and this much for that, etc., etc., it’s all just guidelines on how to manage your diabetes. Just like your personality and who you are, are very unique, your disease is just as unique. These guidelines can help you learn how to handle situations like this, but ultimately your body is different than anyone else’s. So what food doesn’t make Sally go high, doesn’t mean it won’t make you high. Why Do Parents of Type 1 Kids Fear the Night? LEARN! Keep learning. 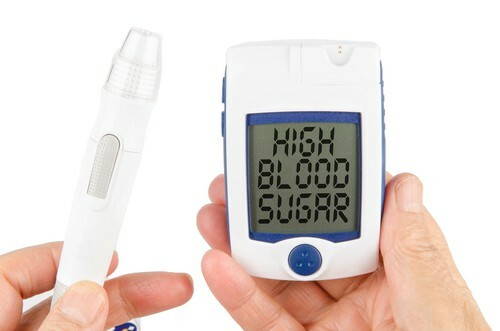 Learn how to tweak your diabetes management to YOU! Another huge thing to learn when dealing with highs, is figuring out how your insulin works for you. Each type of insulin has specific times for when they work. During these times you will have peaks (when they are working better, as well as times they stop working.) Learn these times, mark down times when you do your blood glucose checks so that you can see just how long it was after blousing, etc. This is another factor in why you may be seeing a high. Maybe you are checking too soon, Maybe the carbs took effect more than the insulin! LEARN! Click here to learn more about Insulin Action Times.. Most of all, don’t blame yourself. Stop getting frustrated over the numbers you read. Remember a high is a high, it’s going to happen sometime or another. Use the motto in our house and “Bolus and move on!”. What does the term ‘blousing’ mean?